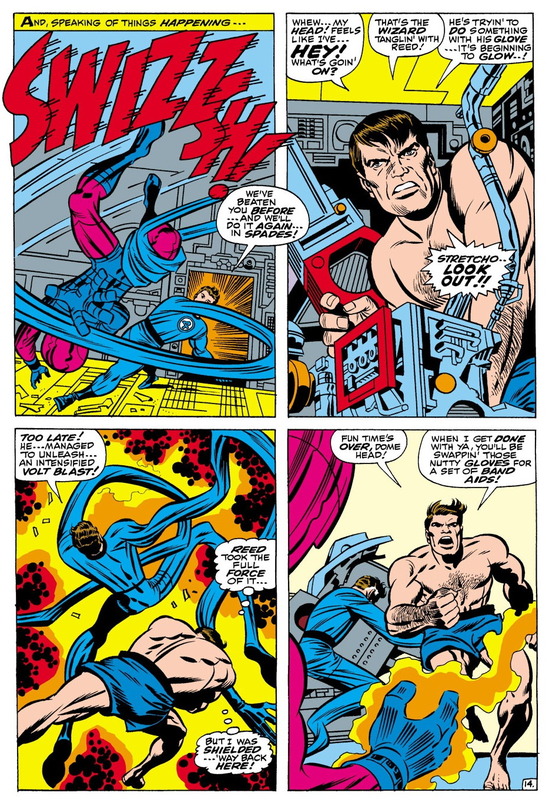 As I speculated in last week’s post about Captain America #105, it may have been that I was a little leery of Jack Kirby’s artwork, which looked different than the art in any other comic I was reading. 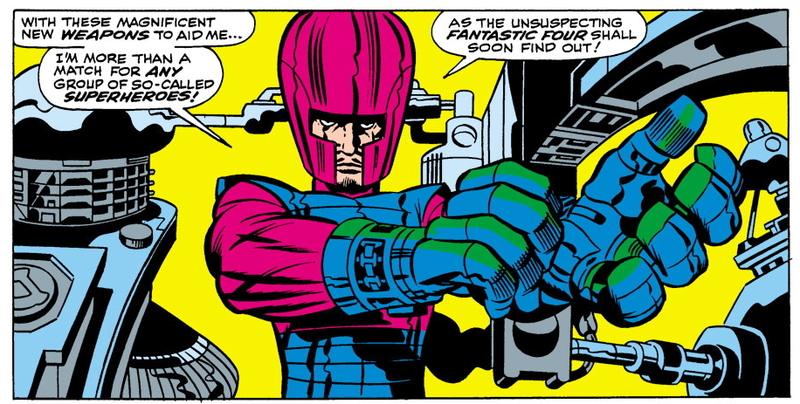 Or, possibly, I was waiting for the continued story that, thanks to the issue descriptions featured in the monthly “Mighty Marvel Checklist”, I knew had been running since issue #74 — involving Galactus, the Silver Surfer, and Psycho-Man — to wrap up, so that I wouldn’t be jumping in in the middle of a storyline. At this late date, I have no way of knowing for sure. But in any event, when I saw #78 on the spinner rack in June of 1968, I was ready at last to put Marvel’s claim of global preeminence to the test. 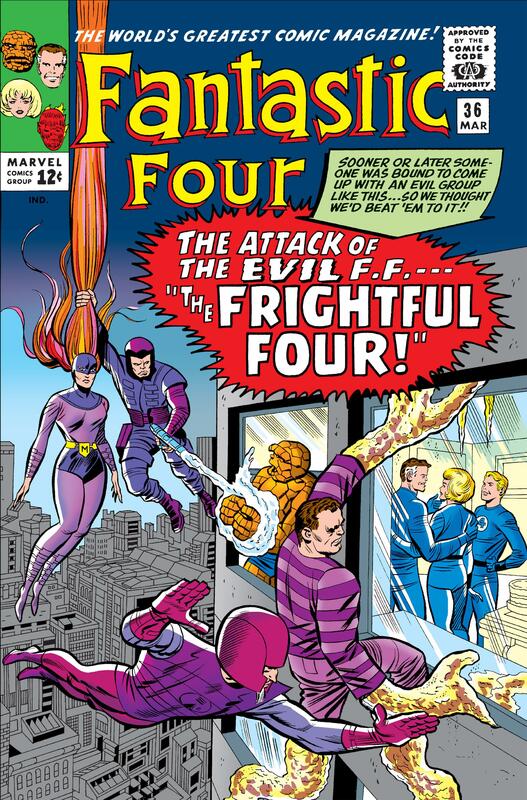 Reading this for the first time in ’68, my ten-year-old self was probably appreciative of the assurances from “Straight-Talkin’ Stan” that I didn’t need to know about all that stuff from the last four issues in order to follow the current story. 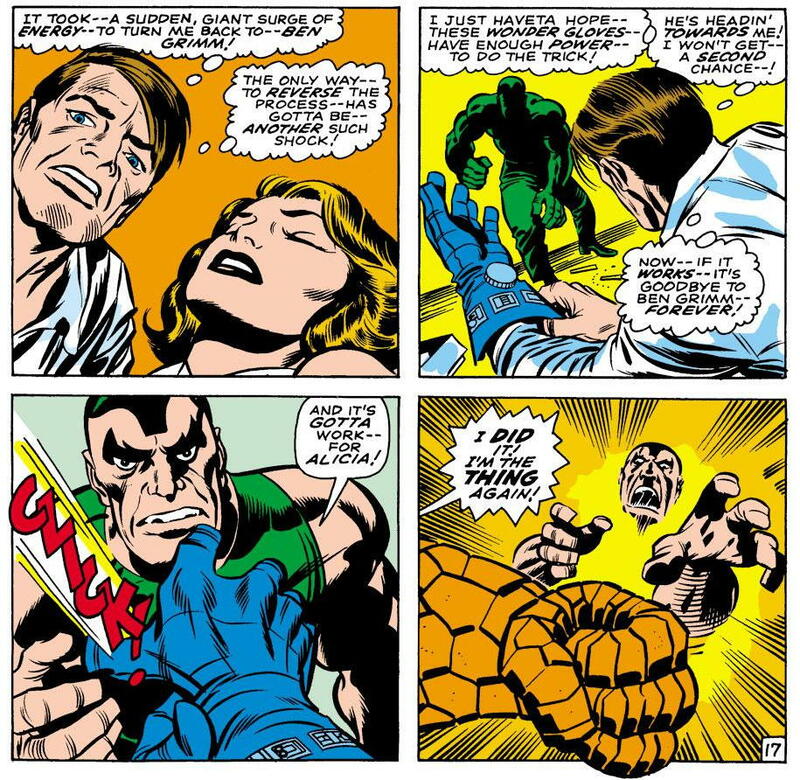 Revisiting this story in 2018, I’m more impressed than ever at the range of human expression Kirby (with the assistance of one of his very best inkers, Joe Sinnott), was able to grant the craggy orange countenance of the Thing, Benjamin J. Grimm. Of course, my ten-year-old self knew not a bit of that in 1968. 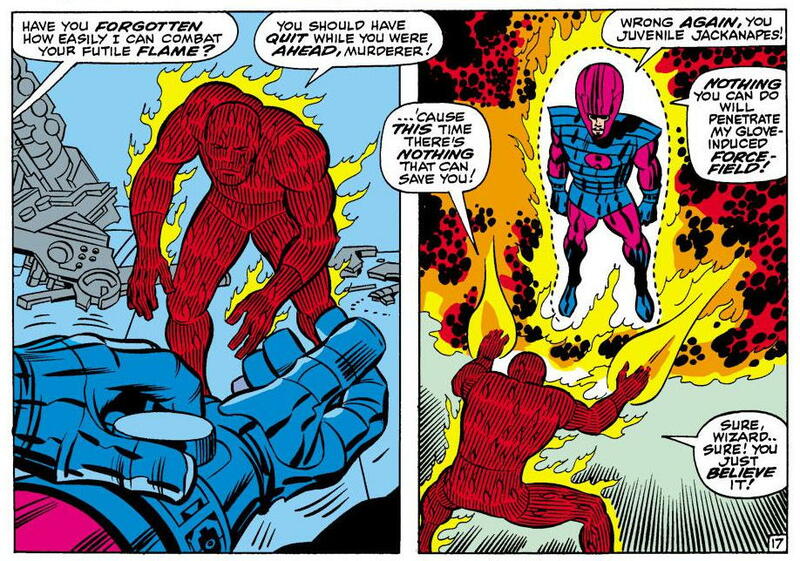 For all I knew, the Wizard was the FF’s deadliest and most powerful adversary this side of Galactus. Ben is feeling sorry for himself because he’s a human being trapped in an inhuman rocky orange body, and who can blame him? Fifty years ago, my ten-year-old self knew the Thing’s origin story from the animated series, and had probably seen an episode or two of that show where an opportunity for Ben to turn human again figured into the plot somehow — but even if I hadn’t, it was a pretty obvious idea for a kid to pick up on and to understand. 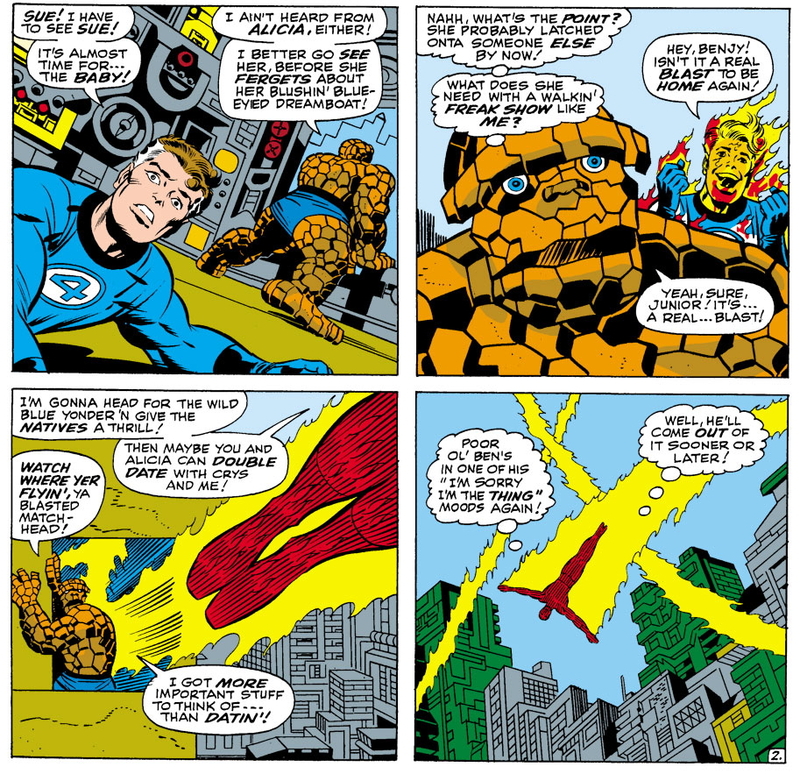 “Here we go again, huh kiddies?” Not quite seven years after the FF’s debut, Ben had already been through a number of failed attempts by Reed to cure him of being the Thing — a condition for which Reed naturally felt responsible, having led the mission into outer space that resulted in he, Ben, Sue, and Johnny all being bombarded, and physically transformed, by cosmic rays. That’s Alicia Masters that Ben is comforting there, incidentally, just a few minutes after their first meeting (she’s been dressed and bewigged to look like the Invisible Girl by her step-father, the villainous Puppet Master, for story reasons too convoluted to go into here) — and the fact that the blind sculptress appears to prefer Mr. Grimm in his more, er, unusually textured form will prove to be a key component in virtually all the “cure” storylines to follow over the next couple of decades. 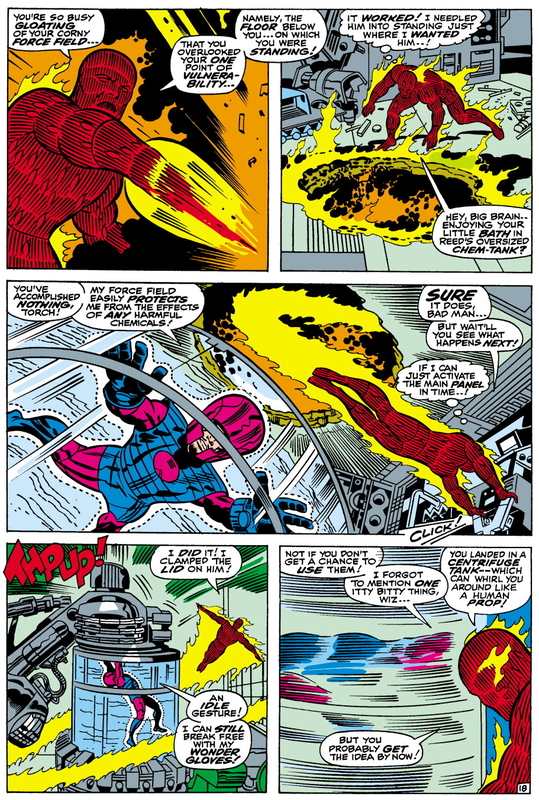 Reed had ratcheted back somewhat on his efforts after issue #16 — at least, in terms of what readers were privy to — but it’s still easy to understand why longtime fans — or even newer ones who were catching up on older FF tales via the reprints in Marvel Collectors’ Item Classics (as my younger self would soon be doing) — might be inclined to sigh “here we go again” along with Ben. Of course, the Wizard would choose this exact moment to attack. 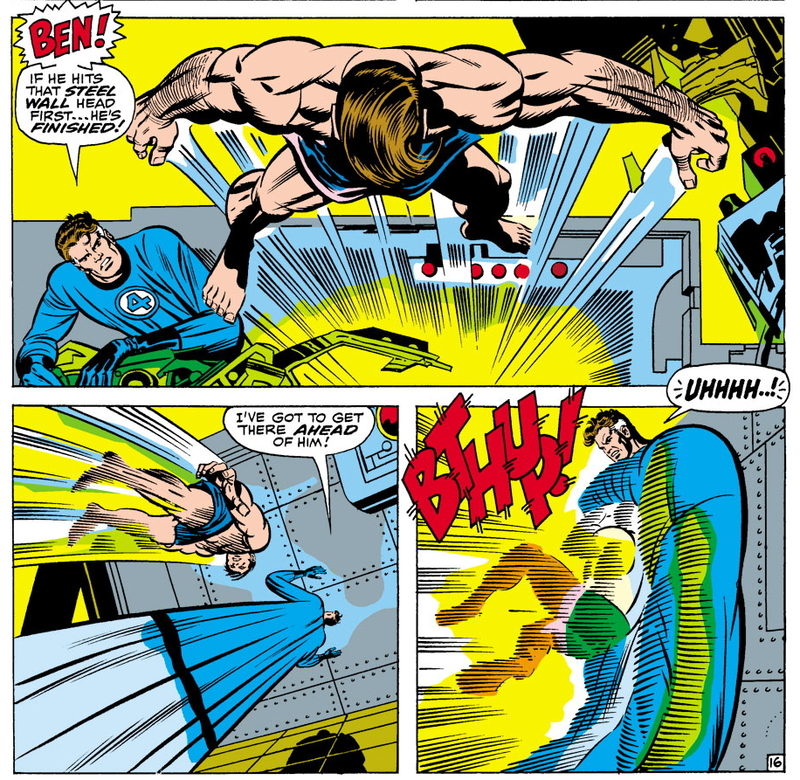 Luckily, “Stretcho” (as some of the kids in my old neighborhood always insisted on calling Mister Fantastic, irritating my younger self no end) manages to save Ben — but, less fortunately, is himself knocked unconscious in the process. 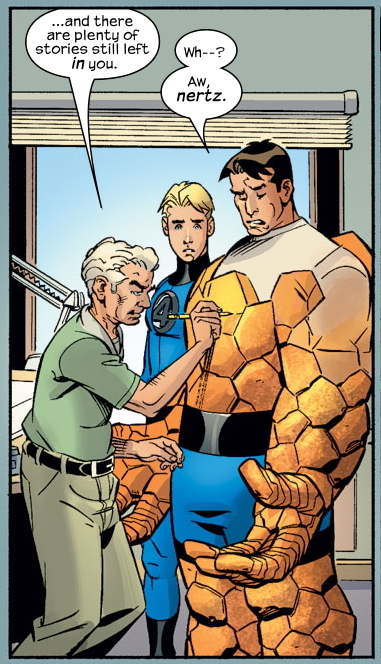 And that’s how my first issue of Fantastic Four ended — with a cliffhanger! 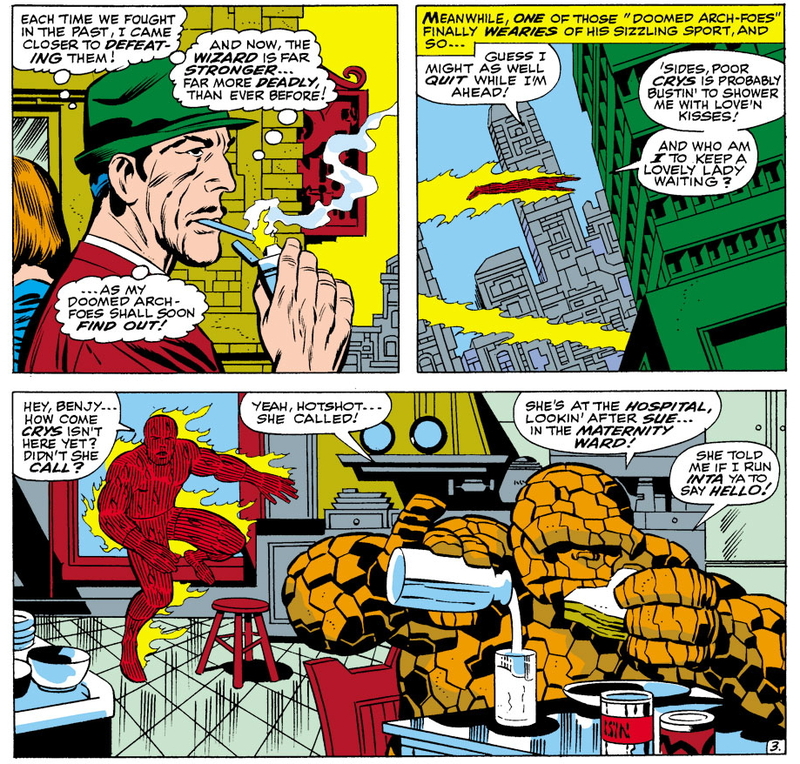 Will Ben Grimm embrace a “normal” human life, or will he choose to continue being a superheroic adventurer — at the cost of also being a monster? Not that I recall feeling much suspense over what the outcome would be. 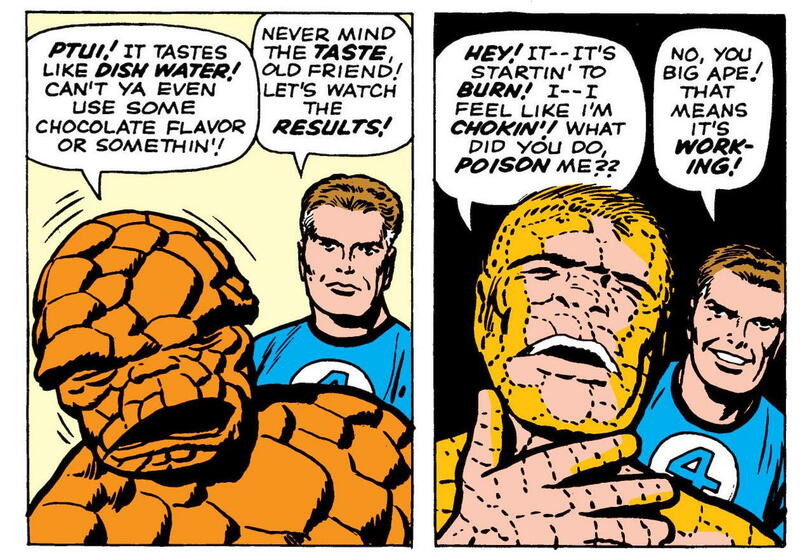 Even fifty years ago, I’d read enough comic books — and watched enough series television — to know that of course Ben Grimm would remain the Thing. The (TV) show must go on, after all (not to mention the comic). 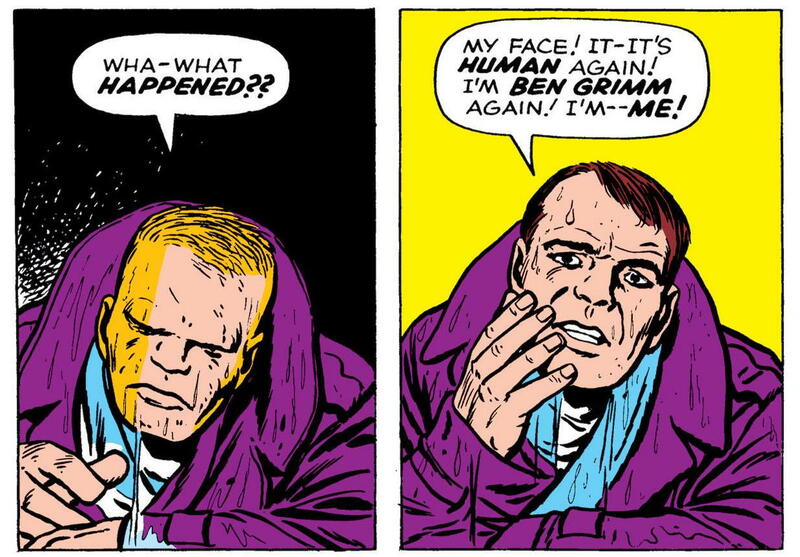 Still, I think I would have bought the next issue when it came out, just to see how Ben resolved this dilemma, if I’d seen it. 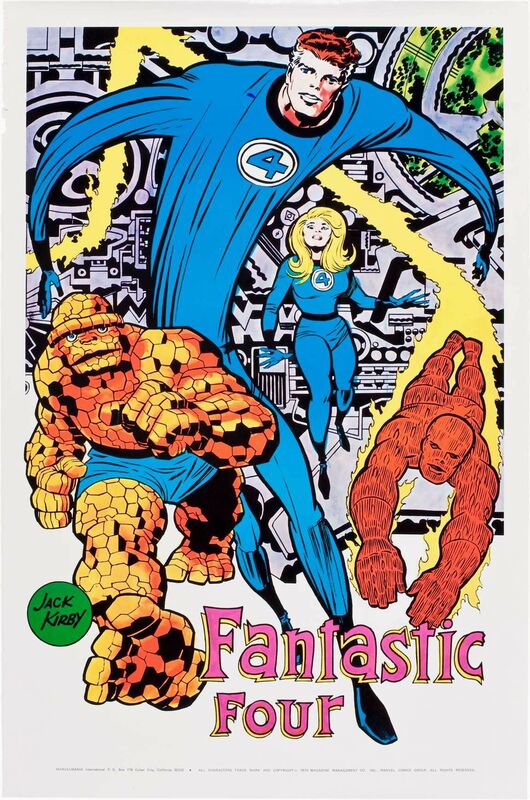 But, as i didn’t pick it up — the next issue of FF I bought off the stands was actually #80 (featuring the debut of Tomazooma!) — I’m thinking that I never saw it for sale. Or maybe I did see it, but only had enough cash on hand that day to buy some other comic I wanted more. Who knows? In any event, I wouldn’t learn how the story ended until I bought #79 as a back issue, several years later. But hey, that’s no reason to leave you hanging, gentle reader. 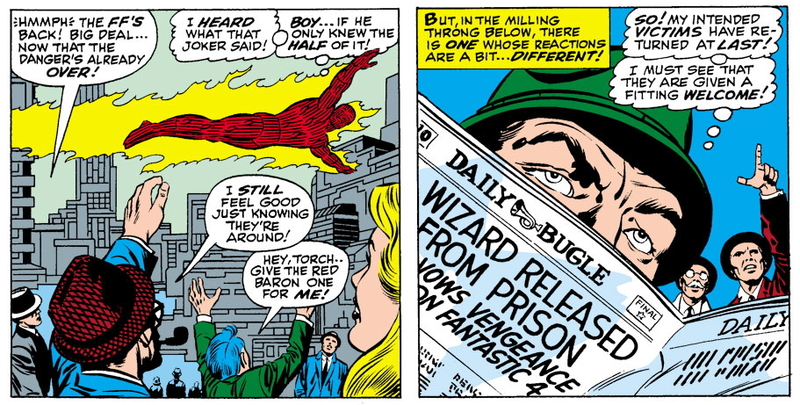 Remember those high-tech Wonder Gloves that the Wizard was forced to leave behind at the end of issue #78, of which Reed vowed he’d “study every fiber of their makeup”? Well, since then, said study has at some point apparently involved placing the gloves in a nice, flat white container (that looks for all the world like a department store gift box), which has then been left lying around so that poor, “shook-up” Benjamin can absentmindedly pick them up and carry them with him on his date. Right. 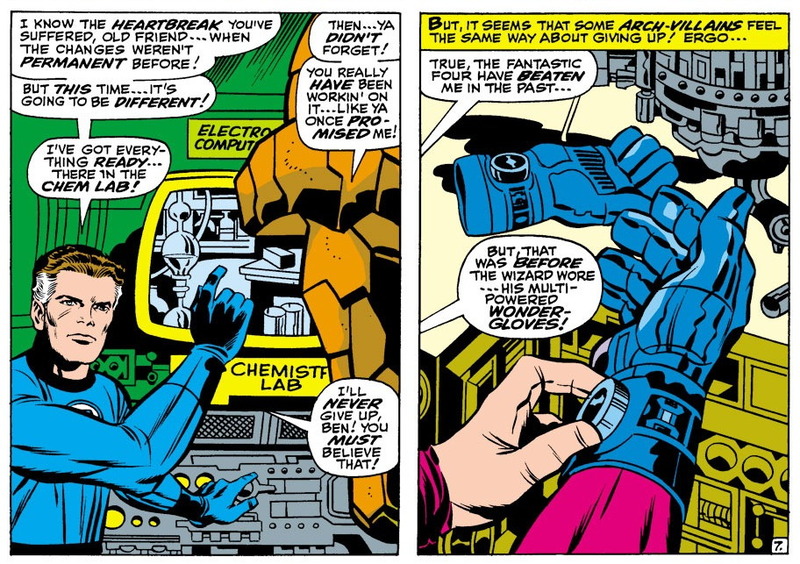 One hopes that this issue’s original plot by Lee and Kirby — or Kirby’s development of it in the drawing stage — included a more rational explanation for Ben to have the gloves than the one provided in Lee’s dialogue. 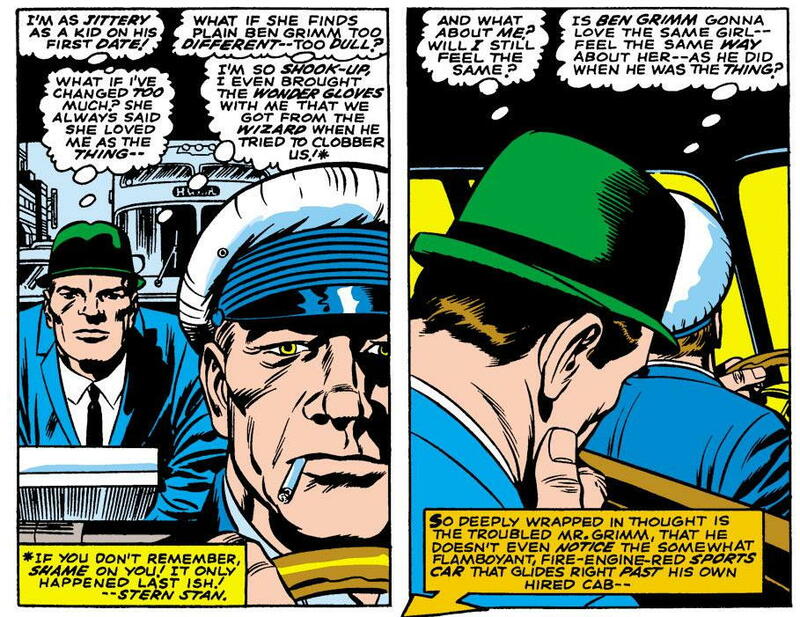 (The blogger “Comicsfan” at “The Peerless Power of Comics” suggests that maybe the original idea was that Ben would drop the gloves off at police headquarters for impoundment following his date, and hey, that works for me.) But, setting aside this wallopingly awkward and obvious plot contrivance, the interior monologue that Lee provides for Ben in these panels is pretty good stuff. Not only does Ben worry that Alicia’s feelings for him might change now that he’s no longer the Thing — an anxiety that goes back all the way to their first meeting in issue #8 — but he also wonders if his feelings for her might change, now that he is, quite literally, no longer the same man — at least not physically. This last insight in fact seems almost too psychologically astute for our Benjamin, who usually comes acrosss as having a sharp mind, but not necessarily a subtle one; but it’s such an intriguing bit of characterization that I’m inclined to give it a pass. When Ben and Alicia are at last together, things go just about as uncomfortably as you might expect. “Somehow — everything seems different now!” Alicia says. 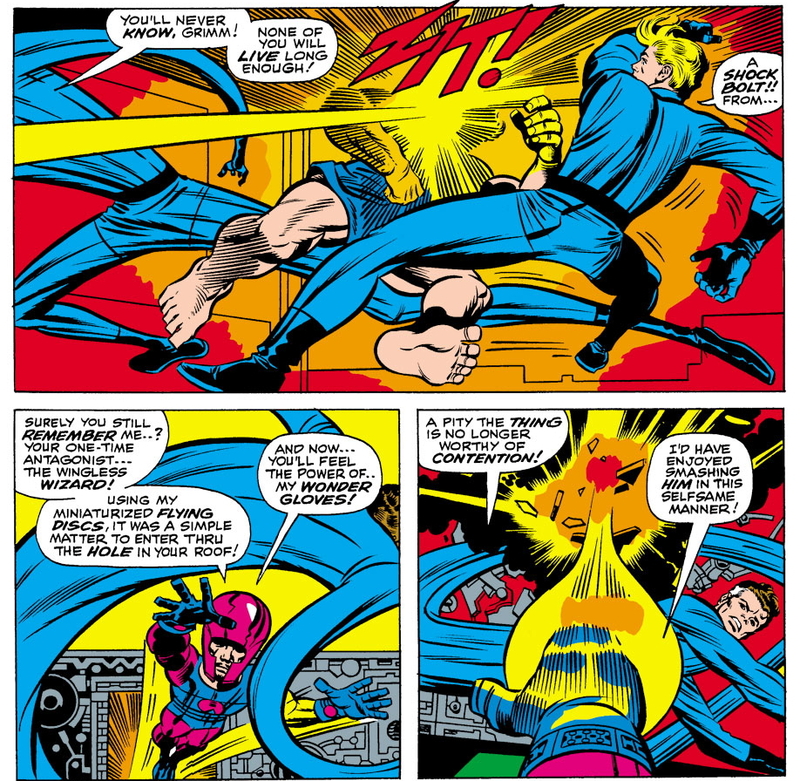 It’s not super-clear how Ben intuits that a “sudden, giant surge of energy“, all by itself, will reverse Reed’s cure — or how he knows which control on the Wonder Glove to press to release such a surge. 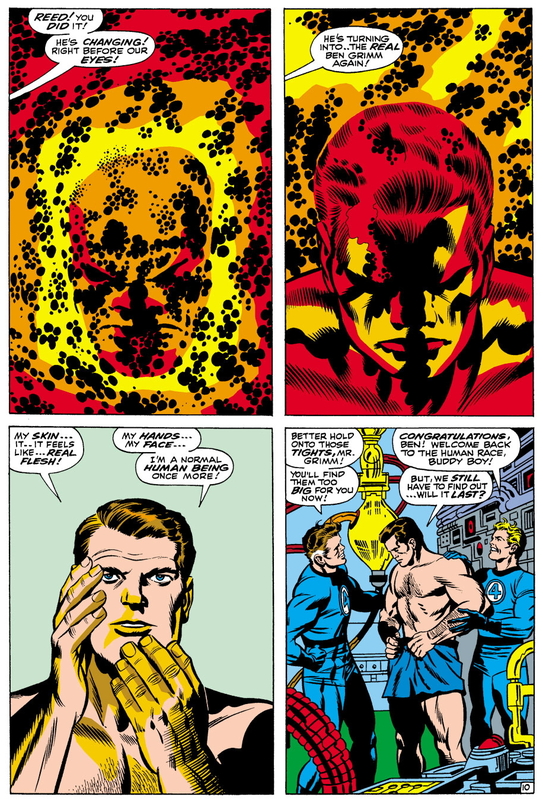 But hey, it makes more sense than the idea of Ben turning back to the Thing when the transformative chemical he’s been doused with dries, as depicted back in issue #8. 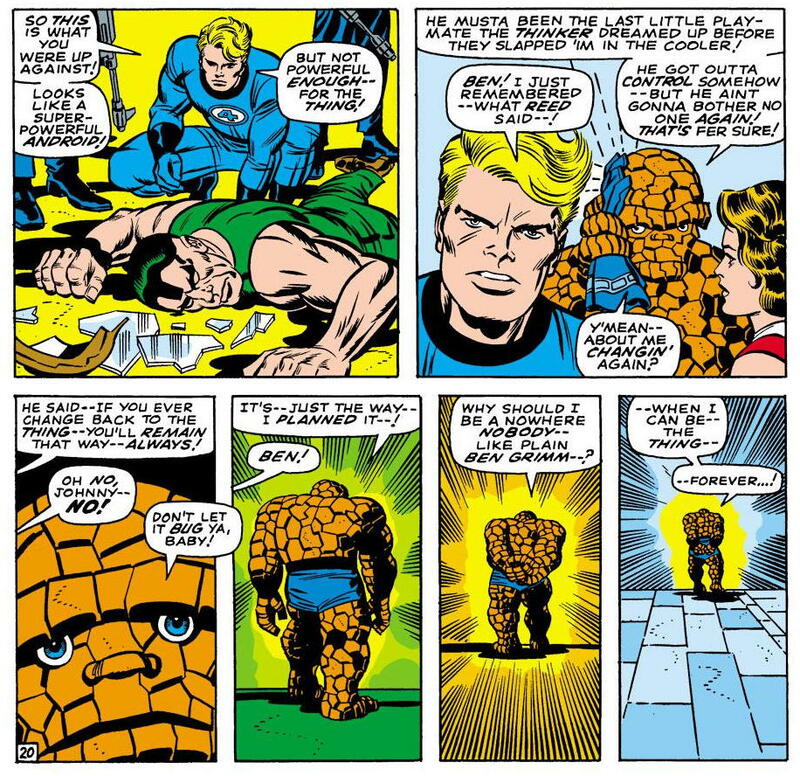 It’s a sad ending, for sure; but the undeniable pathos is leavened at least somewhat by our awareness of Ben’s concerns over how his transformation back to normal humanity would affect his relationship with Alicia, and the evident impact it appeared to be already having just in the one brief interaction they shared before the Android-Man’s attack. It’s hard not to think that things may have turned out for the best, after all. 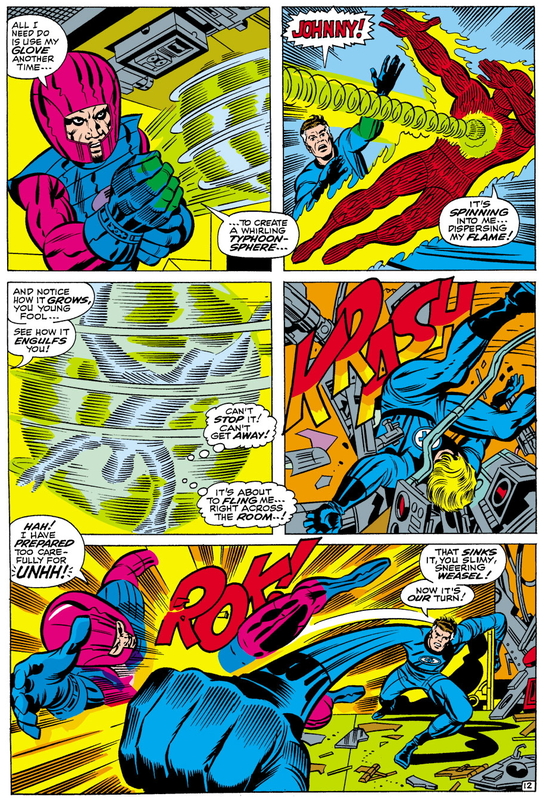 I can recall reading this sequence as a thirteen-year-old in 1971 and thinking, “well, that’s that”. 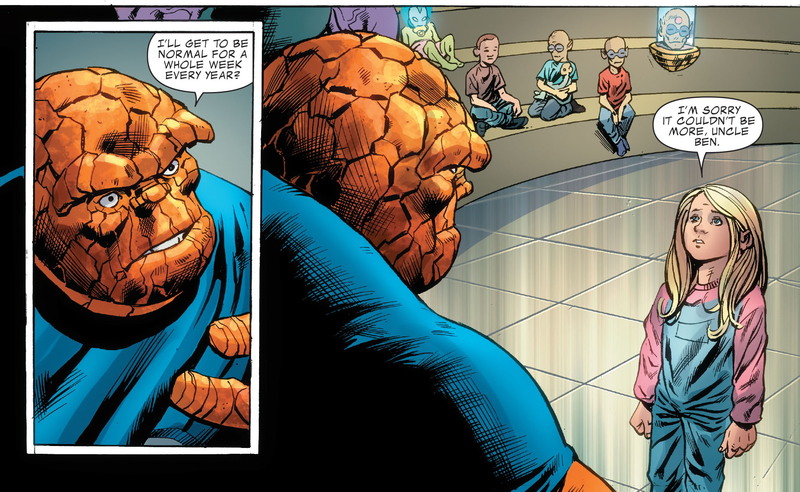 I assumed that this was Ben Grimm’s happy ending — we’d seen him come to accept and even embrace his status as the Thing, and therefore, we wouldn’t be seeing any more stories about him trying to be human again. Ever. I was way off base about that, of course. 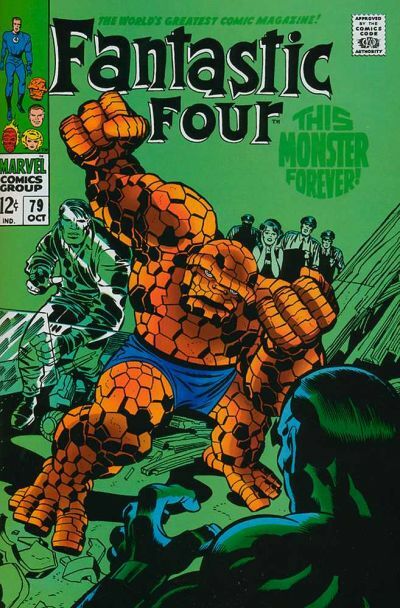 The Thing’s co-creator Stan Lee may have meant issue #113’s happy ending to be permanent, but a number of writers who’ve followed him on FF haven’t been able to resist returning to the theme of the cure, and its potential for dramatic storytelling. It was a startling revelation — though one which, when you thought about it, made a lot of sense. 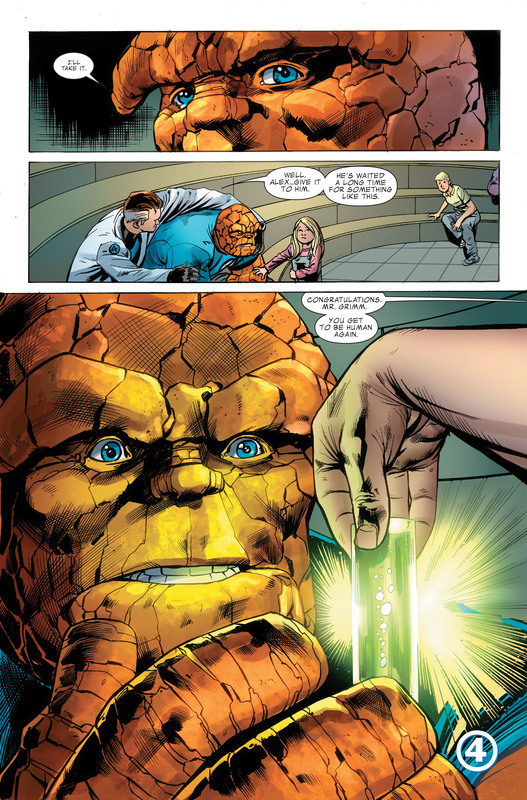 It tied Ben’s inability to change physically directly to his attachment to Alicia — an element of his characterization that had been around since the first time Reed had attempted to cure his best friend, way back in issue #8. 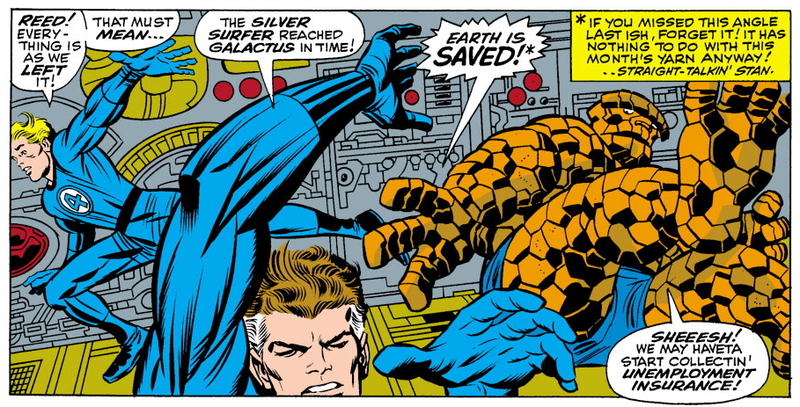 And in addition to its psychological aptness, it also provided a solid reason for why Reed Richards — supposedly the smartest person in the world — had failed time and time again to achieve a permanent cure, over more than two decades’ worth of stories. 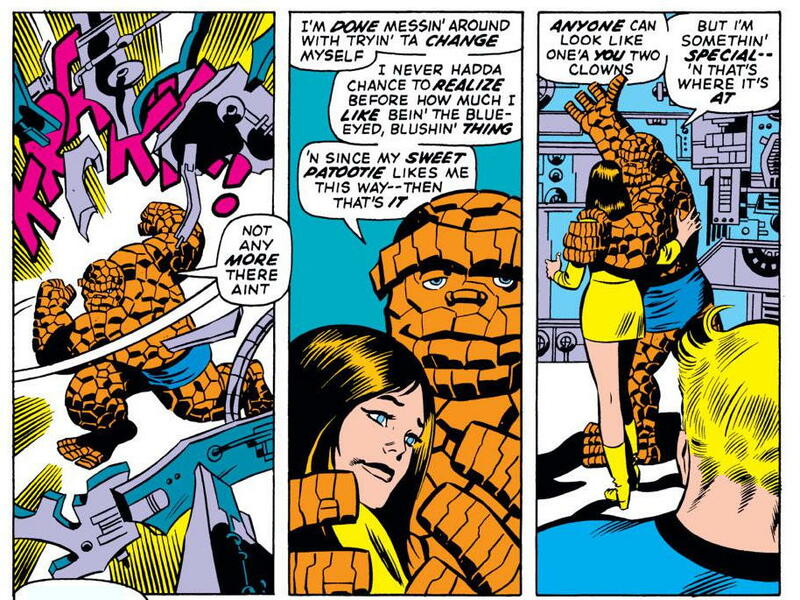 The rub, however, is that not long after that story in FF #245, Byrne broke Ben and Alicia up. This was a seismic shift in the series’ character dynamics, and provided a lot of dramatic grist for that writer-artist’s creative mill. 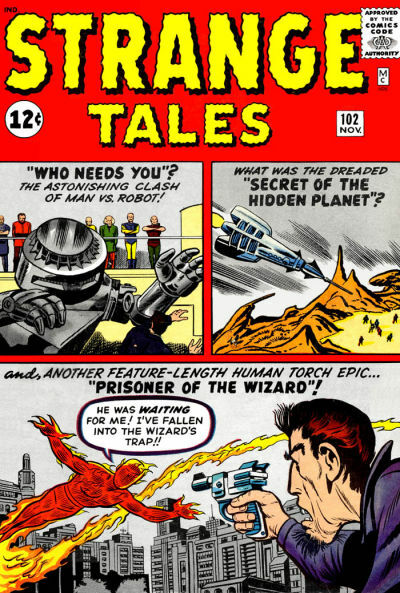 But Byrne eventually moved on, of course, as creators do — and while later writers would return to the “cure” theme on various occasions over the next three decades, following Byrne’s shake-up of the status quo their treatments rarely, if ever, achieved the same sense of dramatic, even tragic weight that the theme had possessed during the book’s Silver and Bronze Age eras. And that’s pretty much where things stand today. 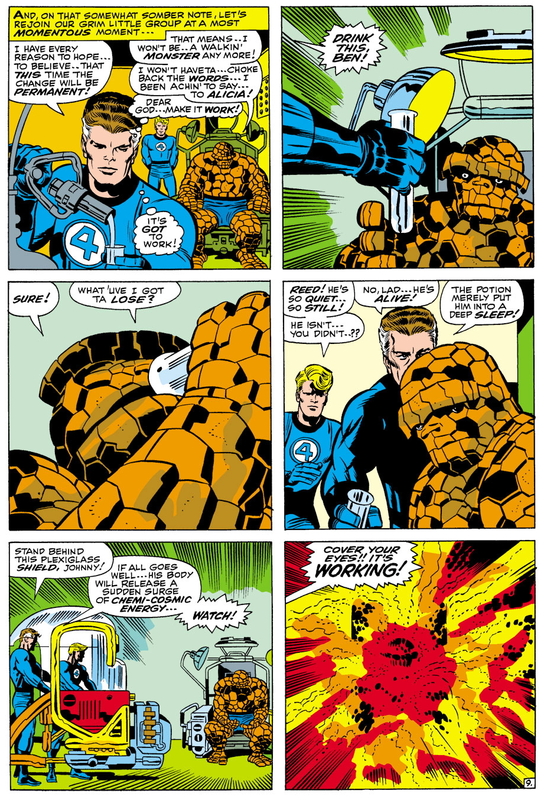 It’s difficult not to feel that a certain dimension to the Thing’s character has been lost with the apparent retirement of the “cure” theme — on the other hand, as Hickman and other writers have amply demonstrated in the years since issue #580 was published, there are plenty of other dimensions to the character of Benjamin J. Grimm that can still be explored. 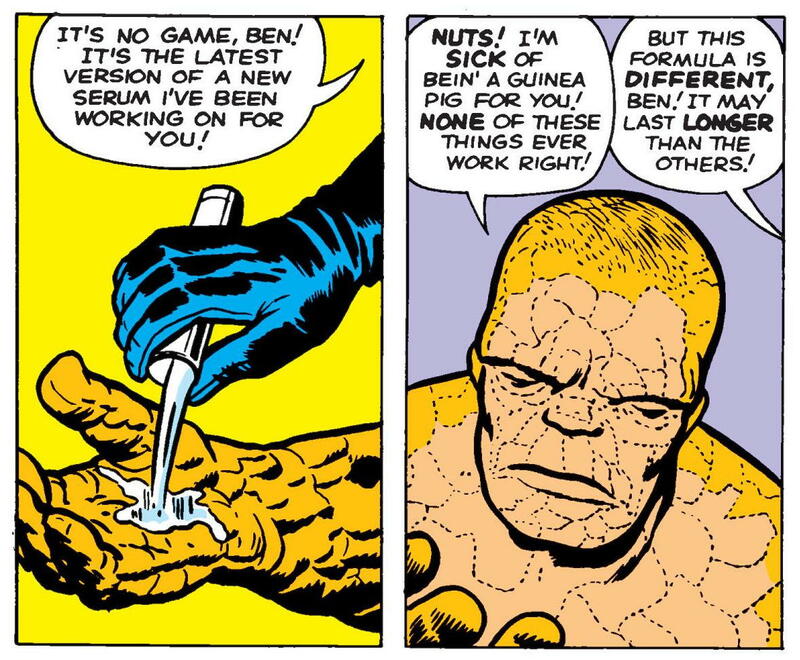 And besides — we all know, deep down, and in truth have always known, that Ben can never be permanently cured of being the Thing. Not because of a subconscious mental block founded upon his attachment to Alicia Masters, but because of the requirements of his story. Who wants to read a superhero comic about an ordinary guy from Manhattan’s Lower East Side, after all? Not many, I’ll warrant — at least not on a regular basis. “…so much more interesting and satisfying as you are.” Who could argue with that? “Plenty of stories still left”, indeed. 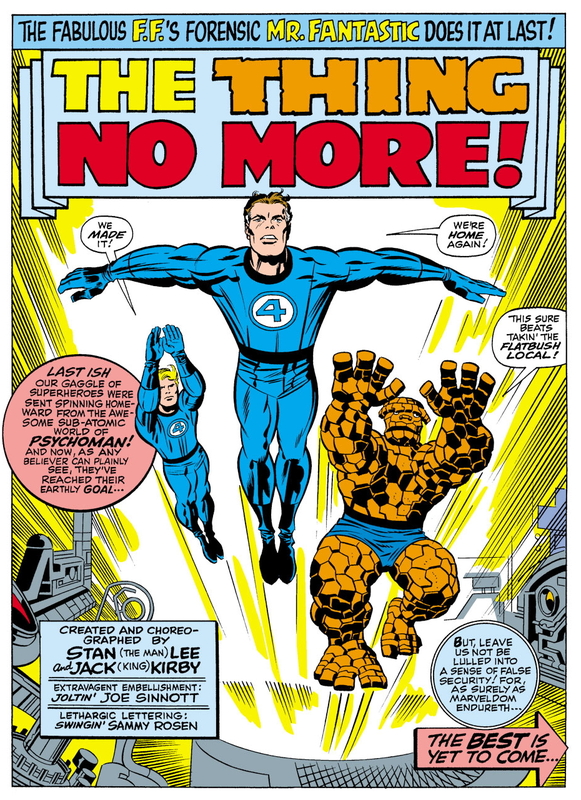 Fourteen years after that divine pronouncement (and fifty-seven years since Ben Grimm’s debut in Fantastic Four #1) with a new Marvel Two-in-One series starring Ben and Johnny currently available to enjoy, and the imminent return of the FF in their own titular series to eagerly anticipate, that sentiment seems truer now than ever. 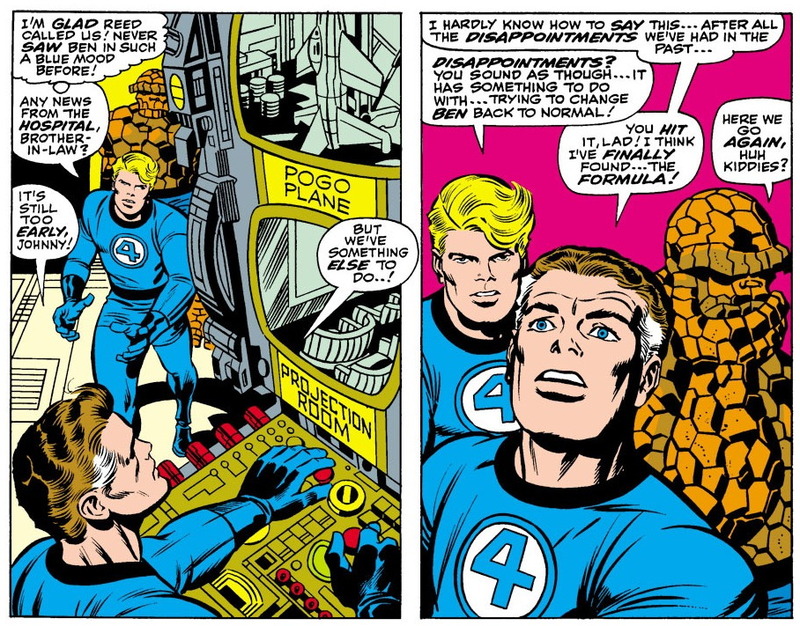 It appears to be generally accepted wisdom among comics critics and other fans that by the time I started reading the series, in Jun, 1968, Fantastic Four was already well past its creative peak. 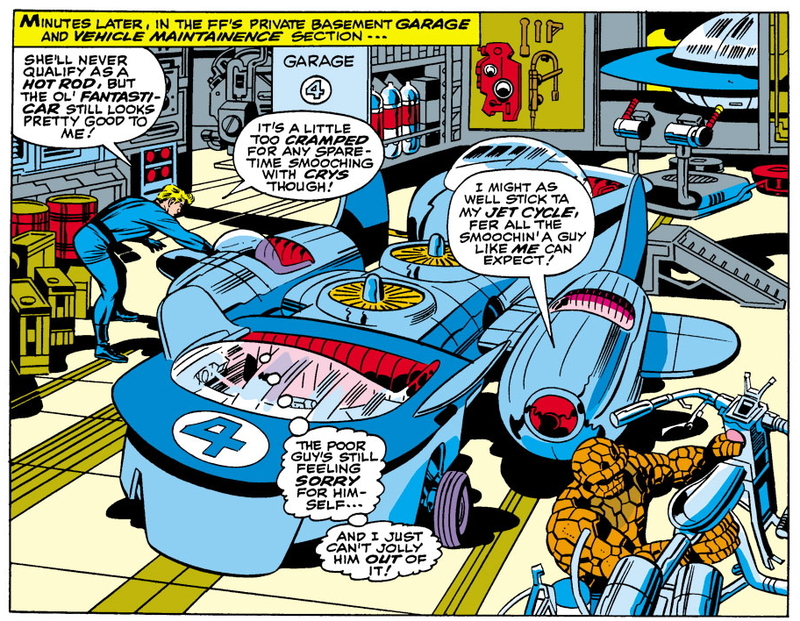 And yet — even in the summer of 1968, this was still Stan Lee and Jack Kirby’s Fantastic Four. 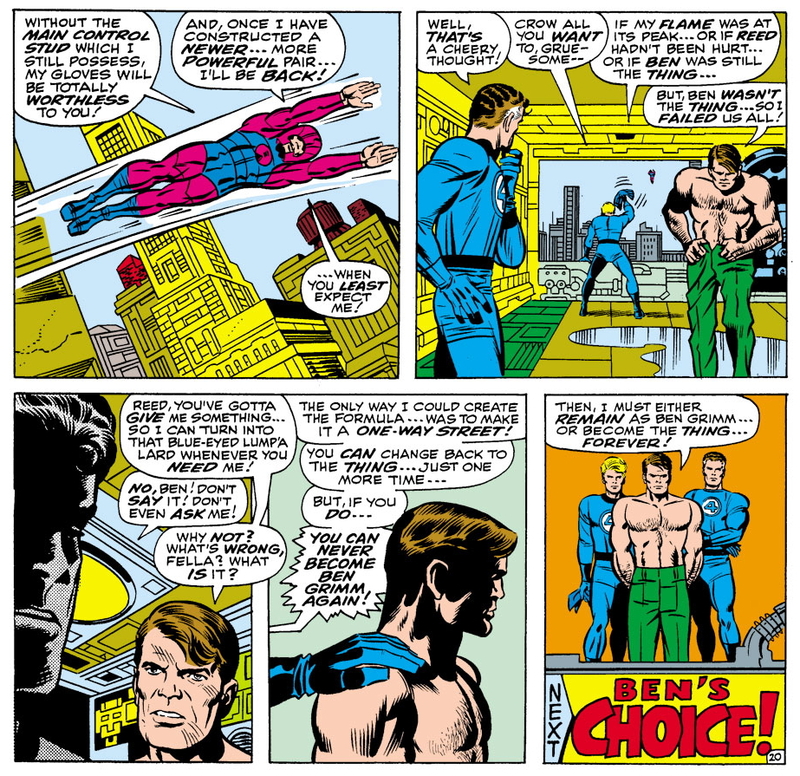 Maybe Kirby’s incredible imagination wasn’t pouring forth the great new ideas at the impressive rate it had been (the consensus among comics historians is that the King was still having those great ideas, but was less willing to share them with Marvel due to his growing disaffection with the company), but the ones he’d generated and developed with Stan Lee over the past half decade or so still had plenty of life in them (and still do, of course). 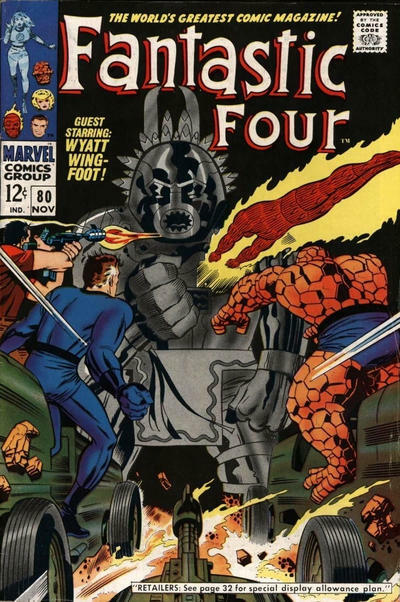 Maybe Fantastic Four was no longer reliably “The World’s Greatest Comic Magazine” each and every month — but in any given month, it still might be. And sure, I might count myself luckier if I’d discovered the series in June of ’66, say, or even ’67, rather than ’68. But you know what? I was still pretty damn lucky. Nice overview of the transformation and attempted cures. You left out the on at the beginning of #25, but that’s OK.